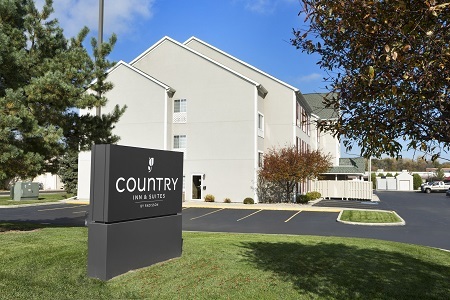 Located near I-90 and I-475 in the suburb of Maumee, the Country Inn & Suites® by Radisson, Toledo, OH is an ideal home base during your stay in the area. Gear up for an exciting day in Toledo with our free, hot breakfast, and spend your day at the Toledo Zoo hand-feeding leafy greens to the giraffes. Not up for an animal adventure? Treat yourself to a shopping spree at The Town Center at Levis Commons, or cheer on the local Mud Hens at Fifth Third Field. 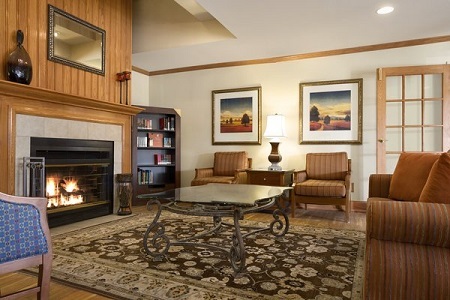 Later in the evening, unwind with a good workout in our fitness center or a swim in our heated indoor pool. Traveling with family or need extra space? 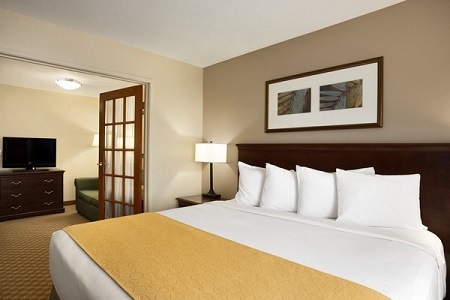 Reserve a King Suite to enjoy a private bedroom with a king bed and a separate living area with a sleeper sofa. 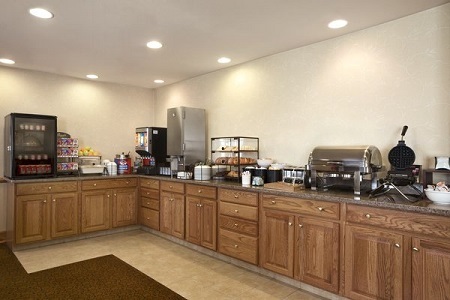 Start your day with our free, hot breakfast featuring biscuits and gravy, Belgian waffles and fresh fruit. For lunch or dinner, stop by one of the restaurants within a mile of the hotel. Smokey Bones serves up delectable barbecue, and Cracker Barrel dishes out Southern comfort foods. The Town Center at Levis Commons – Located about 10 minutes from the hotel, this open-air mall houses everything from Books-A-Million to local shops. Peruse the shelves of several independent stores, and grab a bite at one of the restaurants on site. For a sweet trip, stop by Schakolad Chocolate Factory to try some decadent European chocolate. Toledo Botanical Garden – The Toledo Botanical Garden consists of six expertly manicured gardens across more than 50 acres. Drive about 15 minutes from the hotel to enjoy a family picnic among hundreds of roses and perennials. Be sure to check out the Pioneer Garden, which features a cabin once belonging to Peter Navarre, an American scout who collected vital information during the War of 1812. Toledo Zoo & Aquarium – This zoo, located 20 minutes from the hotel, started in 1900 with the donation of a single woodchuck. Now it includes 12 exhibits built to resemble natural environments and an aquarium with 3,000 sea creatures. The zoo’s feeding deck keeps you at eye level with giraffes and allows you to hand-feed them.